The once struggling RV industry is thriving once again, as more people are embracing what has come to be known as the “RV lifestyle.” Those in this lifestyle brag about the freedom that they experience as they travel around the United States, Canada, and Mexico. They’re a resourceful group of people who have learned to live life to the fullest while having less, and they’re constantly on the watch for ways to make the lifestyle even more sustainable. Now, a growing number of them are recognizing the benefits of carrying an Ameriplan discount dental or discount health care plan, to save them money on their healthcare costs while traveling, and to give them instant access to a doctor regardless of where they may be. Although the RV lifestyle is being embraced by a population that continues to be growing younger, the majority remain those above the age of 62. There are so many retirees that have left their homes and moved full time into an RV, chasing adventure, fun, and consistently pleasant weather, that they’ve even become affectionately known as “snow birds” due to the fact that they migrate south during the winter. Healthcare is of particular concern to elderly Americans, who are more likely to develop an illness, get injured, or develop any number of health problems than their younger counterparts are. Most traditional healthcare plans either prohibit the insured from seeking care outside of its preferred providers, or severely limit access to doctors outside the plan. In nearly every case, going outside the plan will result in higher co-pays that can cause a financial strain for someone on a fixed income. Healthcare on The Road – A Real Problem? Yet, obtaining healthcare and receiving medical advice while on the road is not just something that should be important to elderly RVers. 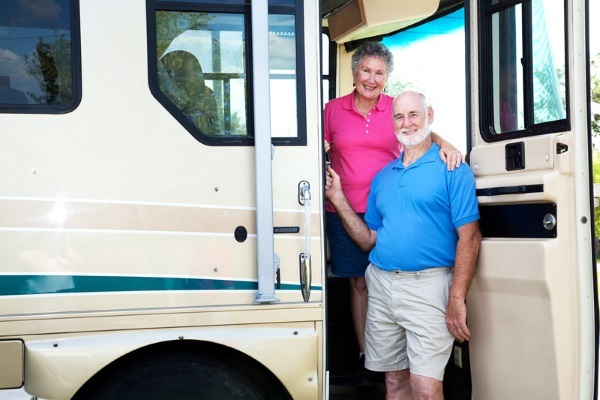 The number of RVers under the age of 50 are growing all the time. Although it may be tempting for them to think that they are unlikely to suffer from medical emergencies, anyone can find themselves in need of medical care or advice at any time. An accident could lead to an injury, a bee sting could lead to an allergic reaction, or a prescription could run out while away from home. Most health concerns don’t necessarily require a visit to a doctor, but getting a doctor on the phone, especially if you’re traveling outside of your preferred provider area, can be very difficult. Ameriplan is a Discount Medical Plan Organization offering its members access to a variety of programs that provide discounted dental, medical, chiropractic, vision, and pharmaceutical services through a nationwide network of providers. Their plans give RVers the flexibility and convenience of medical care regardless of where their travels take them. The American MED Plus, for example, provides its members with 24/7 phone or video access to board certified doctors, who are qualified to provide advice for any health concern (for a small extra fee for each online consultation). If you’re admitted to the hospital, the plan will also work closely with you to minimize your hospital bills and will provide an adviser who can help you to make the best choices for your health care. Ancillary services, such as CT scans, blood work, and MRI scans, are always covered by the plan, and you’ll have access to a network of over 56,000 pharmacy locations to save you money on your prescriptions. All of this is available for only $24.95 monthly. It’s not surprising that so many RVers have already enrolled in an Ameriplan healthcare plan. It gives them the flexibility and freedom to enjoy the RVing lifestyle without the worry of losing access to medical care.